Ankylosaurus were about 20-30 feet long and weighed up to 8 tons. These dinosaurs were not very tall, compared to, say T-Rex. It walked on four short legs and had wide, stalky body. 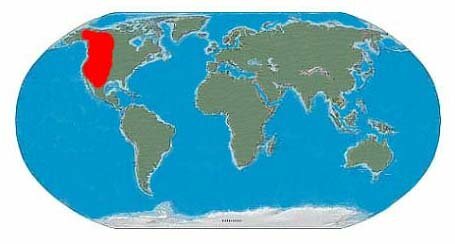 They lived at the end of the Cretaceous Period, around 66 million years ago, and were one of the last dinosaurs to roam the earth. Ankylosaurus had boney plates on their back. These plates were embedded into the skin which helped protect the them against attackers. Sound familiar? 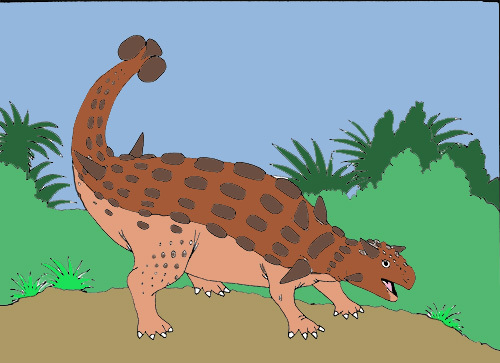 Stegosaurus also had similar plates, called osteoderms, too. Osteoderms are actually skin that has hardened, and mostly used to as protection. When compared to stegosaurus, Their plates were much smaller in diameter and stood about half as tall. Imagine a thimble versus a dinner plate. They also laid flat against their back, while stegosaurus plates stood upright on end. Their plates of armor weren't the only thing that these dinos had in common. These two dinosaurs belonged to a group called thyreophora. Thyreophora is a group of dinosaurs that were bird-hipped, living from the early Jurassic until the end of the Cretaceous. Both were plant-eaters too. So many things in common, its a shame they lived 100 million years apart. Ankylosaurus also had a huge club on the end of its tail. This was also very handy in combat, and to protect against enemies. It was composed of two large osteoderms, with a row of small osteoderms at the midline, and two small osteoderms at the tip. Basically, like having a very big built in hammer on the end of your body.